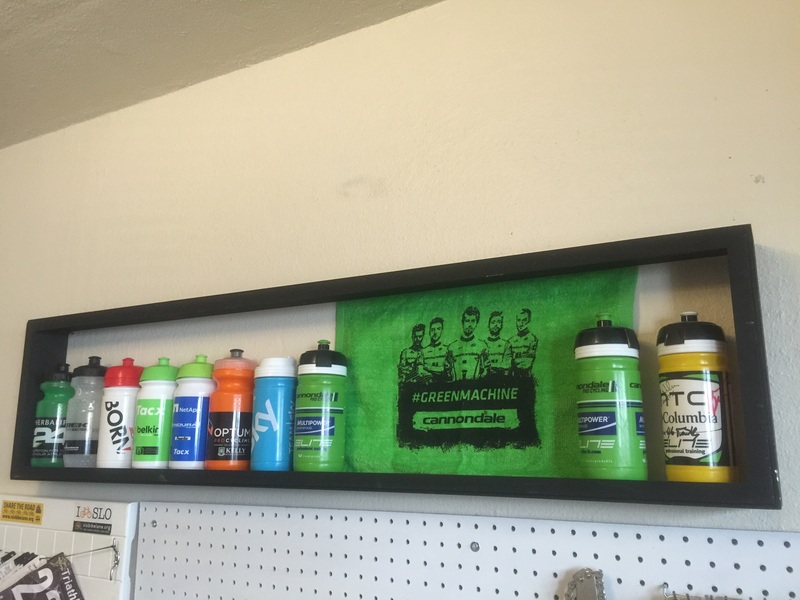 Here's a cheap, easy way to show off your pro cycling team water bottles! There’s a reason you wait for three hours in the heat of a summer day. 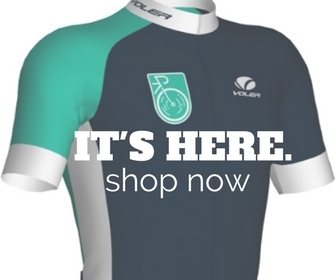 For the pro peloton. For the sound of the freewheels buzzing past you in a 30 second blast of excitement. But really, why are you there? You can watch the race much better from the comfort of your couch. Nope, you’re there for the thrill of the . . . souvenirs. Namely, water bottles chucked from the cages of your favorite riders. Or better yet, musette bags tossed from their shoulders. So maybe you came home with quite the haul–and if you’ve ever waited just a few km from the feed zone, you know what kind of stash I’m talking about. So you’ve got the stuff. Now what? Well, we stumbled across a pretty sweet DIY display case for those team water bottles you’ve gathered. And the kicker–it takes only a few minutes to build and mount. Double check your wooden frame to make sure it’s clean and free of any existing hardware/nails/jagged edges. You may want to sand it if it’s in rough shape or has a finish that will be difficult to cover with fresh paint. Pick up your brush or spray can, and paint it! We went with basic black. Let the paint dry, and maybe give it another coat. If you’re really ambitious, you might also want to hit it with a coat of polyurethane to keep it looking nice. Install your mounting hardware. There are a few options you have here, depending on the load you’ll want the shelf to hold. Since we’re only putting empty bottles on ours, and the frame itself wasn’t heavy, we took the aforementioned lazy way out. We found the studs, held up the frame, made sure it was level, marked the inner top two corners, took the frame down, and screwed two decent sized wood screws into it. Et voila. Done. But that’s not necessarily recommended for people who want to feel secure in their ability to keep this on the wall. For those folks, you might like this DIY tutorial on how to hang a shadow box properly using wire and hooks. Once you’ve got the thing mounted, fill it up with bottles. Stand back and admire what little work this took, and how much cooler you now are. Read Also >> How To Bounce Back from a Poor Racing Performance; or, You Fancy Yerself a Bike Racer, Eh? Of course, you can also modify this by adding hooks to the bottom of the frame and hanging musette bags or jerseys off of it. We fastened a souvenir Cannondale towel to the middle of this one just to break up the look. The coolest thing about this project is that it’s so simple to customize. Hope it works for you too. 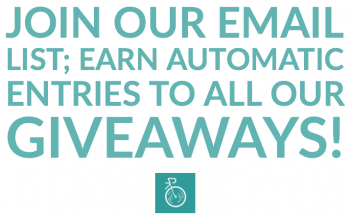 But mostly, we hope you are now enjoying a bike ride with all the time you didn’t spend working on this project.